After an extended hiatus, I’m bringing back my Growing Together series. And I’m so thrilled to do so. I’ve missed this, making new friends and featuring stories of growth. I learn something every time that helps shape my parenting perspective. Today, of course, is no different. I am so thrilled to feature the words of Tamara from Tamara Camera. Tamara and I have similar families – big sisters making their way through the preschool years and loving on baby brothers. Her words are always so honest and down to earth and her photos are simply stunning. I love the sweet moments she’s shared here so please, read her words and then go visit her space. And send her a bit of love, she’s running a bit ragged these days with an injured husband at home and could use some smiles! There’s this inside joke, that’s not really a joke, that I’ve been using on my daughter for years. Whenever she says or does something absolutely irresistible, or adorable, or clever, or innocent, or wise beyond her years, or anything at all that is just so her that I feel my breath catch in my throat, that’s when I say it. “Don’t ever change.” She laughs each time, and I laugh too, as she’s grown to love and expect it from me as much as I’ve grown to love and expect the awesomeness that is her awareness and connection with the world, and with me. Sometimes I can still be witty and adorable and she uses it right back on me. And of course we both do change. We grow and we change – sometimes they go hand in and hand. Sometimes they don’t. What I’m asking for is a lofty goal, but not impossible or even unlikely. I’m asking her to keep sacred the traits most entrenched in her core. When she’s sleeping, I still see so deeply in her face the faint outlines of a baby. The bottom lip pouted ever so slightly. The pinch-worthy cheeks. A sweaty curl stuck to her forehead. They tend to get lost in the folds when she’s awake and sassy and loud and argumentative. I get flustered easily, especially while I’m tending to her baby brother who still has all of his baby-ness intact and also does irresistible things that make me constantly say, “Don’t ever change, Des.” I find myself saying it less but meaning it more when I say it to Scarlet. It’s not just a panicked grasp to hold onto my ever-growing girl, as she ever-grows away from me. It’s because the changes she’s making are astounding. She can tell me knock-knock jokes about farts and Doctor Who. She can talk about her fears of some bees – “mean stingers” and about how much she loves the other bees who – “make honey for us.” However nonsensical. However much she believes in dinosaurs and dragons as real beings, as she makes connections betweens stories, dreams and realities, and relationships with her planet, her family and her friends, well, we find that some of our interests and passions align. During both of my pregnancies, I never thought past the baby stage. I would say, “I’m expecting a baby.” “I can’t wait to have a baby.” “I’m going to have a baby!” And of course there rushed forth so many images of the future – all mental pictures of myself or my husband or both of us with a baby. I confess I was terrified of raising kids. And forget pre-teens and teens and adults! I can’t pinpoint exactly when she turned from baby to toddler and toddler to preschooler, because I imagine it happened in a series of moments and days and even years, but I still felt like I had a kid before I noticed I had a kid. As if her kid-ness was sneaking up on me the way my own adulthood has and continues to do so. I have always had what I believe is seemingly more trouble than most with transitions. I nearly had panic attacks before her first birthday – for real. Her second birthday was smoother and easier for a lot of reasons, but still I felt like my chest was being squeezed by a large and invisible force. My baby! Melting away another year and another few layers of baby fat at the height of every summer. My summer baby turned summer girl turned…whatever is next. They say it’s all gone in the blink of an eye. Babies into adults. And yet, there’s still all those full in-between days and years, stretched out like promises in front of us that we will be blessed to fulfill. She won’t get to adulthood on her own. Birds fly from secure nests. Sometimes, often, the days are as long and hard as the years are short. Like many three-year-olds, she shrieks at me and argues with me around every bend. I can’t win no matter what I do. There are constantly new rules and new languages I must follow and learn. Or else. I throw up my arms in frustration that it’s so much harder to bond with a kid than it is a young baby, but every day she teaches me that is simply not the case. There are many benefits to all of these changes and growth and tough stuff. There’s certainly no visible awards or trophies or medals to parenting – we don’t even get a finished product. Not at three and not at 100. Our children are ever-finishing products as we work to raise, not babies, but as my fellow blogger’s website title says – we raise humans. And they raise us as parents. I grow more accustomed to this life process every day. Growing her as a child and growing me as a parent. We both are making new connections as we navigate life both together and as apart. I used to think that her need for me was lessening by degrees, all of the time. Now I think it’s just changing with us – expanding and collapsing sometimes within one day – and that there is a power in that I will always be her mother and she will always be my child. At three. At 30. At 100. Not my baby.. It caught her eye at the same time it caught mine – our reflections across the room in the reflective glass of a framed Phish poster. It was a rare morning in which I woke up with her and not the baby. My husband was out on early errands and I was almost too sleepy to stand as I contemplated making her waffles or pancakes. Even though it was April, she was wearing bright orange Halloween pajamas. She asked for a hug and as I held her and swayed, we both glanced over at once to see ourselves reflected back. “Look! It’s a kid and her mama.” She said. And so it was. And so it is. I took in our mirror images, and I marveled at the wonder that no matter how separately we grow, we will always find a way to fit together. I am a professional photographer, a mama of two, a writer/blogger at Tamara Camera Blog and a nearly professional cookie taster. I’ve been known to be all four of those things at all hours of the day and night. After two cross country moves, due to my intense Bi-Coastal Disorder, I live with my husband, daughter and son in glorious western Massachusetts. Pets are soon to follow. We like it here and we aren’t going anywhere, but we dream about northern lights, moose and whales always. I also like caramel lattes and rainbows more than most things. This is so beautiful. It does sneak up on us, doesn’t it? Their kid-ness and my own adulthood certainly has felt like that. Thank you, Kim. I kept waiting to feel like an adult for so long, as if it would strike like lightning. And then I realized it struck so many times and I didn’t notice it. Must have been when I was sleeping! Tamara recently posted..Don’t Ever Change. They grow up and into themselves so quickly, if you blink you’ll miss it. It’s great that you recognize that it’s a growing process for the parents too! As always beautiful post! Thank you for visiting! I think Tricia really helped me with her Growing Together series to make me think about ways in which I’m growing too. Well said, Tamara. All of it! My kids are so big and I still feel the way you do. I am yours and you are mine. They might not be little beings anymore, but they are still, in many ways, my littles. tammigirl recently posted..I Raised My Kids, Now What? Always yours, Tammi! And you can always have mine remember. It is! Thanks so much, girls! Oh, tears! Tamara, this is SO BEAUTIFUL! And yes! They are raising us as parent,s aren’t they? And as much as we are changing every day, I might have to borrow that expression from you to use on my own kids, to hang onto those traits at their core that be represent them. Loving your words! Borrow away anytime! I love your words. I need them so often! Beautiful post. Thanks for sharing. Very heartfelt. 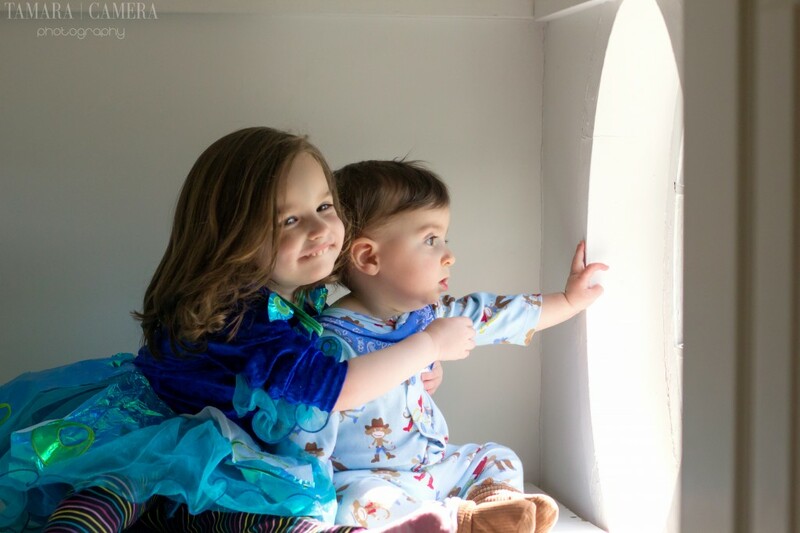 My two are now teenagers and I feel that twang of babyhood once in awhile. But I must embrace their teenage years! Yes, I cannot even imagine! There have got to be pros and cons for every stage, I imagine. My mom has five kids just about in their 30’s and I know she considers right now to be a very special time as we are all youngish and she is still so active. Lovely post. I teared up. Amber recently posted..Things That Annoy Me Thursday: No Venting? Thank you, Amber! I’ve been really feeling her growth lately. It’s because we’re two months away from a new birthday! Tamara your way with words never fails to amaze me! Those changes take place in a blink of an eye. One minute they’re so little and so sweet and they look up to you for everything and then all of a sudden they are big and opinionated and think you know nothing. They say that changes again later though…I’m hopeful. I do miss that little stage and in spite of my tongue in cheek comment there are some pretty wonderful things about the teen years too. Every stage is a gift. Thank you, Michelle! I already feel the little one pulling away from me at times. I know it’s an important part of his growing independence but from newborn to one-year-old is a particularly pivotal change! My mom claims that having five of us nearly in our 30’s is a great time for her. I love this. Such a beautiful post Tamara and you’re absolutely right, they are raising us, aren’t they? I haven’t thought much beyond the little kids years but my son is become a kid. He’s growing up but those glimpses of babyhood? They are such gifts. Thanks, Christine. I’ve been struggling to imagine my baby as anything but a baby, but toddlerhood is fast approaching and I’m going to have to write a follow-up to this! I just know it. Ahhh…this is such a beautiful post. Just thinking of my babies growing up sends my tummy into a spin. At first they didn’t like me calling them babies, but now, they accept it and say ‘We’re YOUR baby”. 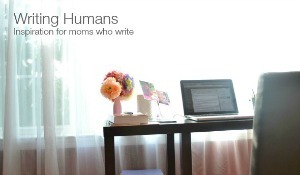 Bu atlas, I guess I have to accept that we are raising humans…our persons as you stated. And they’re raising us. Yes, it’s so interesting. I barely thought beyond labor to having a baby, back when it was my first. I guess I do things one step at a time, but it tends to make me feel bombarded and surprised by inevitable moments! Thank you, Chris! I look forward to reading what you wrote. I always say that it’s long days and fast years because I feel that each day is so FULL and I hit the pillow so exhausted. Yet I marvel at how fast they grow. Beautiful post Tamera! Isn’t it crazy how fast it happens? Sometimes I just love to just listen to my 4 year old talk and figure out things. He is way more smarter than I could even imagine and travelling on this journey of motherhood is simply just so fantastic. Happy Mother’s Day! Thank you, Nellie! I so agree that she surprises me with how smart she is. My husband is never surprised and he takes her out gardening and has her help him with cooking and cleaning and the kid can crack an egg like a pro! I can’t even do that. I’m constantly fishing out shells. Just a beautiful post, Tamara! Time flies by… I recently welcomed our first grandbaby into the family. 🙂 Cherish the littleness!